The Berlengas Thrift is endemic to the Berlengas archipelago. Due to isolation and distance to mainland this small shrub evolved in Berlengas and only exists in Berlenga Island, Estelas and Farilhões Islets. It grows in rocky outcrops, consolidated gravel and cliffs where its fine roots holds strongly between the cracks of granite. The Berlengas Thrift is very easy to identify due to its conspicuous cushion shape and unique light pink flowers. It can be seen flowering from April to May along the walking trails in Berlenga Island. Once abundant, this species suffered an abrupt decline in recent decades in result of the excessive nitrification of the soilfrom Yellow-legged gull faeces and the expansion of Hottentot Fig. 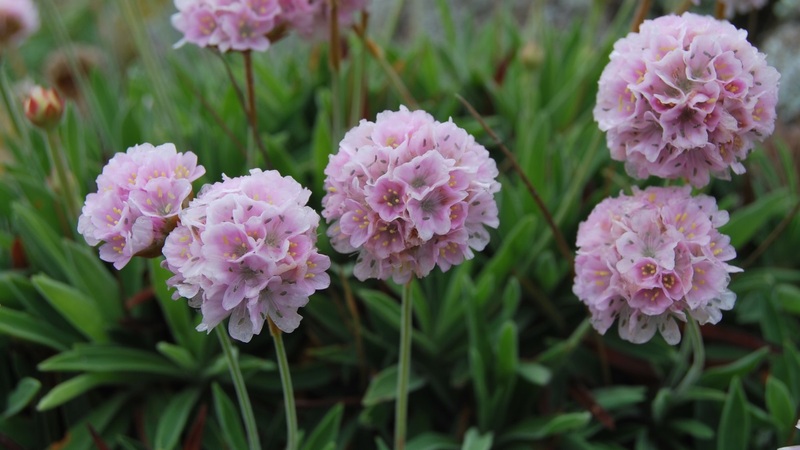 The Berlengas Thrift is listed as Critically Endangered (CR).